I log into SE with a Yahoo OpenID, which I have to stop doing by July. I apparently also have an email/password login. I don't remember ever creating one (although maybe that's what I used before SO had OpenID support? ), and I certainly don't remember the password. And there doesn't seem to be any way to reset my password when logged in via OpenID. And the way to reset my password (account-recovery; thanks to Adam Lear) was not discoverable from anywhere I could find. Once you're logged in (via OpenID), there's no links to account recovery anywhere, even on the pages asking me to enter my email and password. If I go to My Logins, I see two entries: Stack Exchange and Yahoo. The first one has a change password link. It requires me to type in my current password. Which I don't know. There's no link anywhere to send a password-reset email, answer a challenge, or do any of the other usual alternatives. This page could just have a link to account-recovery. 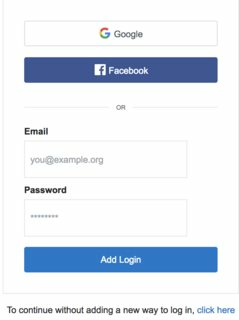 This is an odd form for adding a login—i.e., registering an email and password—given that there's no confirm-password field. I'm pretty sure this is a bug. But maybe I'm supposed to enter my email and desired password, and I'll be asked to confirm it later? Nope, I try that and click the Add Login button, and I get the error The email or password is incorrect. 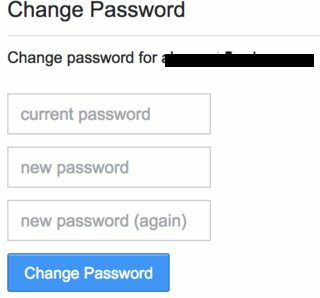 I've tried searching around for other ways to reset my password, but everything I can find (links on the above-linked question, instructions on this question, etc.)) ultimately takes me to one of the same two pages, where I can't add an email because I already have one, or can't reset my password because I don't know it. If you want to go back from OpenID to using that old email address, use account recovery. If you don't have access to that email address, or want to migrate to a new email address instead, go to my logins, remove the Stack Exchange email/password login, then login-add a new one. The first one worked for me, and I can't see why it wouldn't work for anyone else. The second one, I haven't tried, but I've been assured that it would work, and won't do anything wacky like unlink all your network accounts (and support would manually fix it if that did happen). Not the answer you're looking for? Browse other questions tagged support login user-accounts openid password . Always logged in with OpenID, how do I create a password for my account? Logging in to Stack Exchange if logged in to Stack Overflow via OpenID?